Next Saving Trees and Turning 25. I am not the perfect housekeeper. Heck I’ll even go farther than that. I am plain rotten at housekeeping. Some women have gorgeous homes that always smell like a candle store, and do not have one thing out of place. Even when you drop in on them unexpectedly. If you drop in unexpectedly at my house you will find dog hair on the floor and coffee mugs by the computer. Yes it’s sad but true. Luckily I am not alone, so for everyone else out there who would much rather sip wine on the porch after dinner, and work in the garden during the day here is my plan for you! 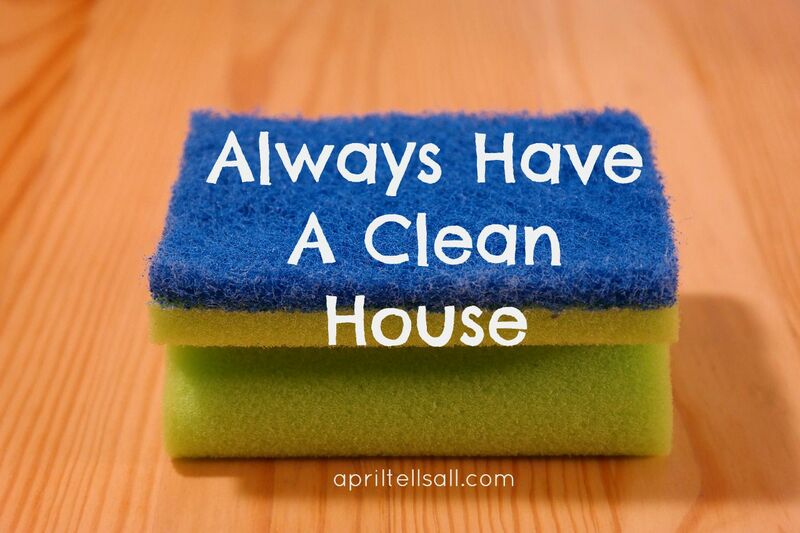 This is my Always Have A Clean House guide. This is not set in stone, so be sure to toy with it and rearrange the days for ones that work better for you. There are also things that you may need to do daily that I don’t and vice versa, so adjust it, but keep the principles the same. Clean out closets (linen and clothes) and get rid of anything that you no longer need or wear. I have this printed off and hung on the cork-board in my kitchen so I always know what I need to do that day. Consistency is the key! You will start to see results and soon it will take less time for you to get your house back in order. Pick two days that work best for you and use them as your make up days for things that got missed or forgotten or when life got in the way. Lastly your home is your haven. Keep it simple, get rid of things you don’t use or need, and you will be amazed at how much better you feel being at home. Clean home = healthy and happy family.